Verdict: Momentumless and formless; what was the point? Oh, I got some hacks for this one…. Perfect for: People who are intrigued with prep school culture, or at least prep school culture from sometime in the 80s or 90s (presumably). People who are tired with stories with a plot that does something and a character who changes over time. 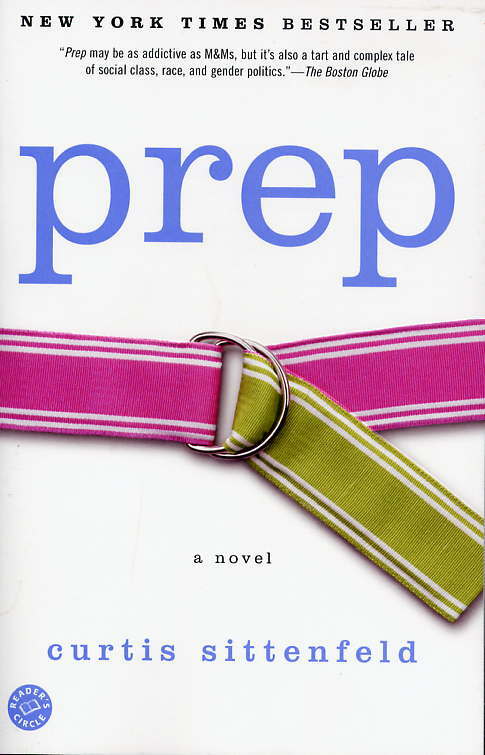 Summary: Lee Fiora is from a working class family in the Midwest but becomes intrigued with the concept and aesthetics of prep school, and wins a scholarship to the prestigious Ault School in Massachusetts. Despite being a fairly normal and academically and socially confident girl in her public school, her feeling that the rich and well-traveled students of Ault will find her out as different and weird makes Lee feel awkward and shy. The story follows Lee from her Freshman to Senior year and is mostly a catalog of all ways Lee self-sabotages herself as a student and as a friend in the world of the privileged. Getting a peek into the world of the rich and privileged is a guilty pleasure for many of us. I mean, right? See: Pretty Little Liars, Gossip Girl, The Real Housewives of…., Dallas, and pretty much all soap operas. (got another example? add it in the Comments). In Prep, narrator Lee acts as our wide-eyed guide into an elite prep school where money is never mentioned because it is considered too crass to talk about openly. And yet, for Lee, money is everywhere because it is obvious who has it and who doesn’t and how this – very subtly – affects how people are perceived by others and the opportunities that are open for them. Even though Lee is both entranced and repulsed by her rich classmates, there is (thankfully) no relentless cataloging about what brands the privileged students are wearing or where they are going on vacation. This is not a Clique novel, so the exploration of privilege is often done in an effective and nuanced way. There is also some stuff about the intersection of race and money at Ault, since most of the scholarship students there are black and Latino. Yet Lee, who is white, is not rich and she finds out at one point that one minority student who she presumed was on scholarship is in fact one of the wealthiest kids at the school. Interesting stuff to ponder. This quote is said to Lee during her Junior year by her frenemy and former roommate Dede. Dede was actually my favorite character because she is really blunt, and kind of bitchy, but at her core quite kind-hearted. See Lee? A personality! And Dede is obvs super-perceptive because she described the main problem with Lee as a character: She. Does. Not. Change. One. Bit. Isn’t the the #1 rule of a novel? That the character undergoes some kind of change? What was the author thinking? That the world was aching for a character that learns nothing and is pathetic and uninspiring the entire length of the book? Hmmm, maybe the point of Lee is to make the reader feel really really good about himself in comparison? But the #1 question I had was…. When Are We and Why Isn’t It More Fun? This book was published in 2005, but in the world of the story there are no cell phones, no internet, and having a computer in your dorm room is a big deal. The fashions that are described – long floral dresses, long pleated skirts, chunky shoes – sounds vaguely like the late ’80s or early ’90s. Some of the students play Madonna songs, but the story doesn’t make it clear if that is current music for the time or not. I’m not sure why the author never specifies when the story is taking place – she could have made the ’80-ness of it a fun, integral part of the story. I wonder if a teen reading this book would be confused about the lack of technology and wonder if the lack of it is some weird prep school thing. And speaking of weird prep school things, who doesn’t love learning about the wacky traditions of private schools? There is not a whole lot of that in Prep, other than a whole chapter devoted to a game called Assassin where each person gets a bunch of brightly colored stickers and one name of a classmate who is the target. If you stick your target without anyone seeing you do it, the target is “dead” and you get their target. The last person remaining wins. That was by far my favorite chapter since there was a feeling of suspense and action to it that the rest of the book lacked, AND it described a weird school tradition. This entry was posted in Adult Fiction for YA, Full Hack and tagged #Firstworldproblems, '80s, Prep school by lithacker. Bookmark the permalink. I’m glad I never picked this one up! I see it all the time at used bookstores and am always slightly intrigued…but for a prep school book, I think I’ll try Skippy Dies, instead. If I remember correctly, Special Topics in Calamity Physics was also set at a prep school…although if memory serves me, it could use a good LitHacking itself! Shall I work through the whole list alphabetically or by region? THANK YOU. I remember when I read this, I was trying REALLY hard to like it, because it was a recommendation from this really nice/cute librarian,and she seemed to like it a lot. But I couldn’t, it felt like there was just no point in reading it, the character had no real personality other than angst, and the small parts that COULD be interesting were crapped all over with Lee’s annoying-ness. Also, did you know that technically this isn’t meant to be YA? crazy. Yeah, I categorized this one as Adult-for-YA. But really it is not recommended for anyone! I thought this was really fun but can’t recall the details now, years later.